The Ultimate Interior Surface Finish. Commercial & Residential Interiors. Employment and Apprenticeship Positions Available Periodically, in Hawaii and LA. Send Resumes. All Projects Shown on This Web Site Are 90% Hawaiian Installations. 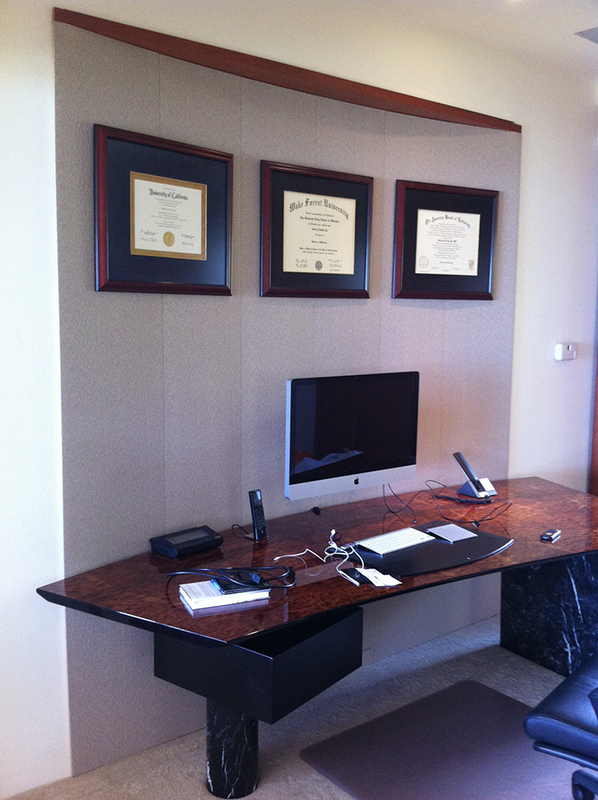 All Installations by Phil Fineman, and His Team of Expert Carpenters and Upholsters. All Photography By Phil Fineman and Property of Fineman Padded Walls Hawaii, & LA. Photos are not to be used or reproduced in anyway for any reason. A Notarized Document Required. All Rights Reserved.